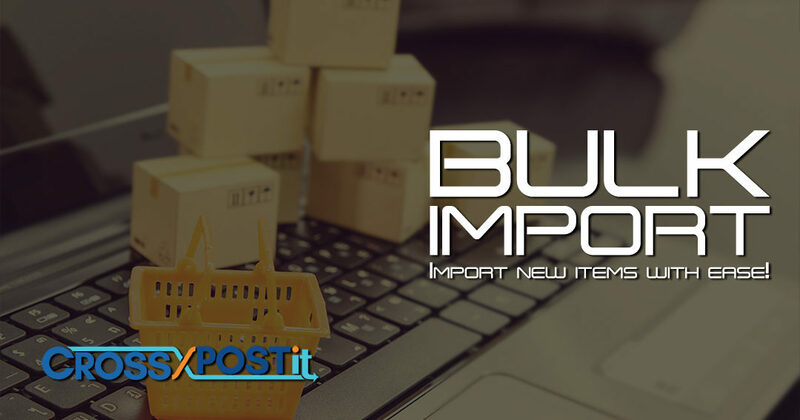 BULK IMPORT-Import new items with ease! Have you ever received an excel file from a distributor with the products that they have sold to you that you now need to get into your inventory? Or maybe a tech savvy consignor has grouped up all the information into a file for you? Rather than entering everything in one at a time, it is possible to enter in multiple items at once. This method is best used if you have a large number of items that you need to upload. To start, click on Items, then click on Import Items. Once you have clicked on import items, you will have a new page opened with quite a bit of information. The first thing you need to do is click the ‘CSV template file’ text under the large ‘Import new items with ease!’ This will get you our template to fill out to import the items. From here, you can look at the excel sheet that was given to you with the inventory you need to transfer in. The only thing that you are required to fill in is the title column, anything else would just be additional information. Once you have everything transferred over, upload the file via ‘Choose File’ on the Import Items page and select the template you already filled out. If there are any issues, the system will let you know where it needs to be corrected, otherwise, all the inventory will be uploaded with the information that you included!